With a little help from us, you’ve busted out your red pen and polished up your job posts to attract some great new drivers. But where are you supposed to put these compelling listings? There are dozens of websites, services, and job boards that promise to get you quality talent, but it’s difficult to know which of these options is the best fit for you. 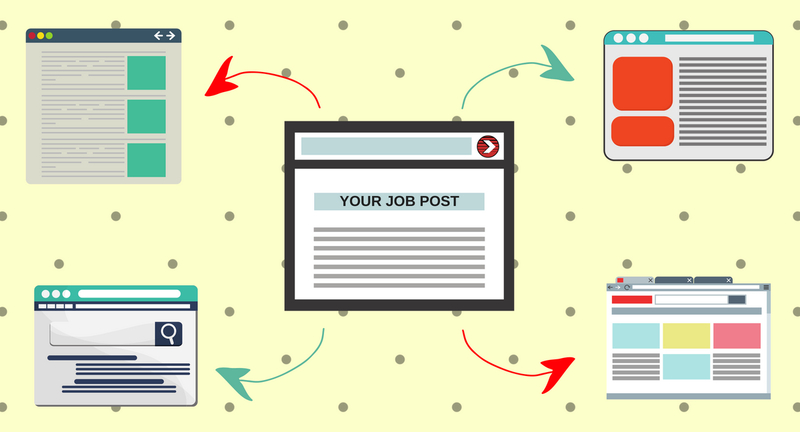 Different companies have different needs when it comes to posting their positions, so it’s important to keep the following considerations in mind when you’re preparing to put your posts online. When determining where to advertise, money is often the first concern. Your budget determines what kind of audience you’re able to put your posts in front of and how widely your advertisements are broadcasted. Tenstreet’s Job Store – an online marketplace that makes it possible to order advertising for all your job boards in one place – features different merchants at every price point to suit budgets of all sizes. It even contains multiple free merchants to get even the most cash-strapped recruiting department started. Anyone looking to save money will likely find themselves paying in time instead. Searching for the absolute cheapest job board options can eat up hours of Googling around and leave you just as confused as when you started. If you don’t have the time to find needles in haystacks, Job Store helps to see your options all in one place to find which boards will work best for your company. Is your company constantly looking for new talent, or do you only need to hire a new driver every four months? The frequency of your hiring will determine the best models for advertising. Carriers that are always hiring can be good candidates for subscription-based services, but those that recruit infrequently are better off with pay-per-application services that don’t force them to spend money when they don’t have any open seats. Tenstreet Market and Pulse Match, both of which reside in Job Store, allow you to pay by application, which means you can control how much you pay and when. The requirements drivers need to fulfill vary widely across different industries and regions, and it can be difficult to find people with the right credentials even if you’re already taking aim specifically at truckers. If your company requires drivers to have specialized certifications or work in unusual regions, for example, you’re better served using a service that lets you specify these requirements so that you aren’t receiving a glut of applications from unqualified candidates. Tenstreet’s Pulse Match product embraces this idea by only showing your job posting to candidates who meet the qualifications you’ve set for the position, keeping scattershot applicants out of your pool. Most positions require drivers to be located in a certain area, and there’s usually minimal transparency on which job boards can get you in front of candidates in your desired region. Fortunately, Job Store has a feature to address this problem (can you tell we like Job Store?) Each merchant has a corresponding heat map that shows where the most applicants to that site are located, letting you determine sites and services that have a larger user base in your hiring locations. Even a great posting won’t make an impact if it’s not put in the right place. Finding the best services for your company can be the difference between empty seats and a full fleet.